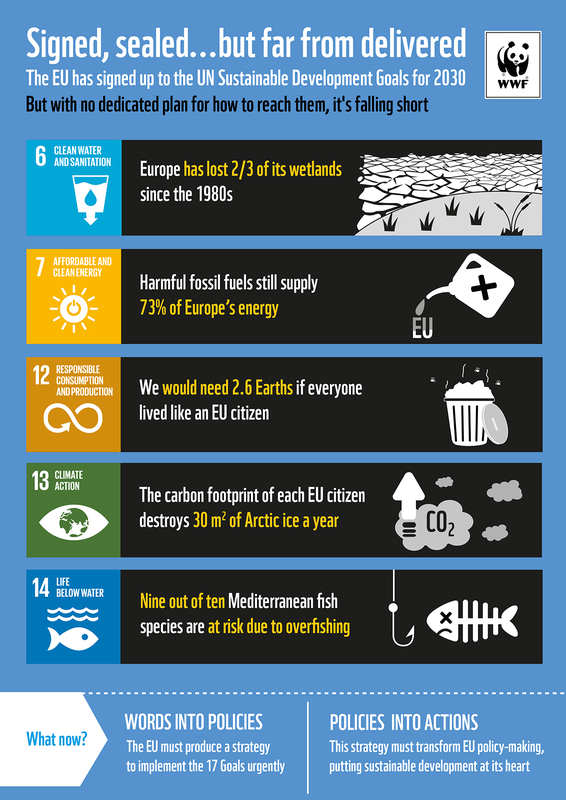 1000 days ago today, the EU signed a historic agreement on sustainability. Yet it still has no strategy in place for how to meet those goals. 1000 days ago today, the EU signed a historic agreement, along with 200 other countries. It was a UN-brokered deal to make every aspect of the world’s economies and societies truly sustainable. The ‘Sustainable Development Agenda’ set 17 goals (SDGs) for 2030, which once met will transform everything from health, to nature, to gender, to jobs. Yet 1000 days later, the EU still has no strategy in place for how to meet those goals. It has relied instead, so far, on policy initiatives in particular areas, hoping that they would, once implemented, somehow add up to the equivalent of the Sustainable Development Agenda. In some areas progress has certainly been made. Take climate and energy as an example. The EU signed the Paris Agreement on climate change in 2015 and, while it has still not brought its policy and efforts in line with the Agreement’s goals to keep temperature rise to 1.5°C, things are slowly moving. In March this year, Heads of State called for a long-term EU climate strategy in line with the Paris Agreement. In April, seven Member States asked for a pathway to be set out towards “net zero emissions”. Accordingly, the European Commission will deliver a document mapping EU climate possibilities to 2050 - including a net zero emissions option - by spring 2019. Getting this 2050 climate strategy right is a dire necessity, given that we are staring down the barrel of the gun of climate devastation - and the impacts that it would have on people and planet. However it is also an opportunity for the EU to act on a global emergency, patch up its climate credibility and lead the way to a renewables & energy efficient future. But however strong the EU’s climate strategy, alone it will not be enough to fulfill the EU’s commitments to the UN 2030 Sustainable Development Agenda. The European Commission has said it will publish a ‘reflection paper’ on Agenda implementation and to follow up on the Paris Agreement this autumn. How is it that nearly three years after signing up to the Agenda and its Goals, the European Commission is still ‘reflecting’, not acting? The EU has historically been a respected global player on sustainability, but it cannot cool its heels and rest on an outdated reputation when the survival of people and planet is at stake. On climate action: the EU must speed up the progress it is making, and build a strong, consistent and workable strategy for reducing emissions to net zero by 2050 at the latest in line with Paris, as those seven progressive Member States called for. This is widely supported by business and civil society. 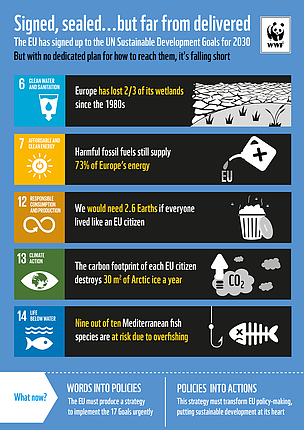 But just as urgently, the EU must stop kicking the can down the road and get to work on an overarching and transformative SDG strategy - including climate, but also bringing in the other SDGs from nature protection to gender equality to water quality - which can be rapidly implemented, before many more days tick by. Our lives and wellbeing depend on it. This article was originally published on the IISD website.